Are you confused about the best diet for fibromyalgia? I do believe that the best fibromyalgia diet addresses inflammation, toxicity and nutrient absorption. You see, It is not really about one particular diet. It is more about adhering to some basic dietary principles. There are many resources about "best diet for fibromyalgia" and yet, working in holistic health and nutrition, and as a colon therapist, what I have done is to really narrow in on what works for most people to decrease symptoms and pain levels through effective fibromyalgia nutrition. Fibromyalgia is complex so it is more about creating a stronger foundation and greater resilience. Adopting a gluten free or low grain plan is a great place to start for your best diet for fibromyalgia. Whether one has gluten sensitivity or any digestive disease (not just celiac) removing gluten is a good first step. Gluten from the wheat protein can be a perpetuating factor in many diseases, from a leaky gut to osteoporosis to fibromyalgia. However, never try to eliminate foods too quickly (unless there is a severe digestive illness) because this can cause undue stress on the fibro body and can even perpetuate symptoms. There is much drama and controversy out there regarding gluten. I will tell you this, not everyone will need to avoid gluten 100%. However, if you have celiac or auto immune thyroid disease or any digestive illness such as colitis or diverticulitis, then it will be imperative to avoid not only gluten, but corn starch, and other fillers. Rice flour is not a better choice as it is higher glycemic and hard to digest. It is not only the hard to digest grain, but the glyphosate and other chemicals that are added to wheat crops that are contributing to chronic pain, digestive disease, auto immune conditions, and cancer. Many people play around with gluten because it is hard to eliminate and very addictive. Part of my point is ... do not beat yourself up if you have a difficult time removing gluten. Get additional help if needed. This is a big undertaking for many people who have lived on gluten their entire lives. As a colon therapist, I work very closely with people and their digestion, closer than doctors or other health care workers and I also see much controversy and mistruth which can sometimes lead to sabotage and people feeling like they cannot attain a certain diet. What we have to ask ourselves is "what is our reason for reducing grains in the first place?" It is to retain more nutrients and reduce symptoms like inflammation. So going gluten free is good, but it must be done the right way. By working to eliminate more gluten and even more of the packaged gluten free foods, we are supporting our bodies and minds by absorbing MORE nutrients and reducing fibromyalgia symptoms such as brain fog that are often perpetuated by these foods and additives. By the way, rice flour should be right up there with gluten. Too many gluten free products contain rice flour, this is high glycemic and hard to digest. Osteoporosis has become a great issue these days as the body attempts to steal nutrients from the skeletal system to simply process and digest grain foods. Osteo issues are also a great concern within fibromyalgia. The very best diet for fibromyalgia is a whole foods based diet - nature’s diet. The focus of this page is the best diet for fibromyalgia; however, it works for other health issues as well. For instance, the M.D. Anderson Cancer Center published an article in May 2012, "Do Nutritional Supplements Help Prevent Cancer?" (Click on the link to read). On page 2 under "Nutrients in foods", the article recommends essentially the same approach to whole foods that I advocate here on my website. Overall, I liked the article; but, like many articles on diet, the focus is quite narrow. In this case it's cancer as you would expect. My focus on this website differs from their's. My focus is not only fibromyalgia and whole foods, it's the whole you. Let me show you what I mean. The article states that whole foods are more beneficial than vitamin supplements because whole foods contain many nutrients that work synergistically to protect against cancer. They go on to say that salmon is superior to salmon oil supplements because it provides vitamins D and B, amino acids, calcium, and selenium in addition to the fatty acids. Now, here's where we differ. Although what they say is technically true, it is not realistic if we focus on the Whole You. No one I know would be willing to eat salmon every day or on any schedule that would provide the fatty acids and other nutrients mentioned in the amounts required. Also, some folks just can't tolerate the taste of salmon. That is why I take into consideration the whole you in my best diet for fibromyalgia on this page and also provide my recommendations for supplements on my Fibromyalgia Supplements page. Sure, I focus on fibro with my "best diet for fibromyalgia", but I realize we all differ in our lifestyles in terms of the size of family, pace of life, ability to pay and other factors. I try to provide enough flexibility that you can find a path to success. In reading the article perhaps you can be reassured that my "best diet for fibromyalgia" has synergistic benefits to other health issues as well even though I don't talk about them here. In seeking the best diet for fibromyalgia we must remember that when we awake in the morning, our bodies are in a more acidic state. With any chronic illness, we are striving for balance. In this case, we are focusing on the balance of acid and alkalinity. We want to avoid extremes to better support digestion and metabolism. A certain amount of acidity is needed to properly digest food as well a good amount of alkalinity will support metabolism and the musculoskeletal system. In the article called "Nutrition Tips" we talk about the importance of an alkaline breakfast also free of excess sugars and grains. 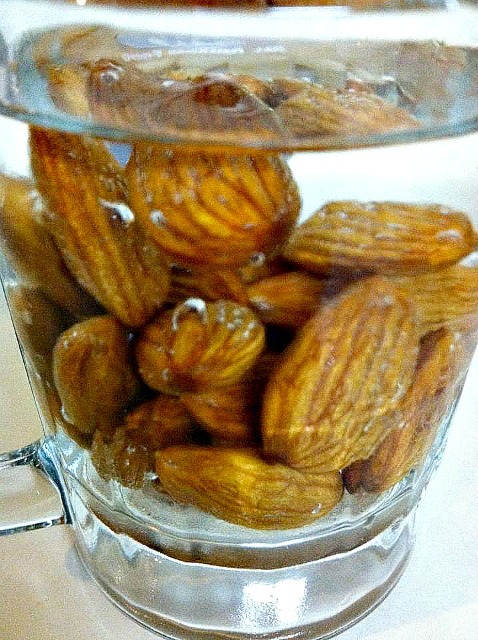 This will help balance that first morning acidity. The body is always striving for balance. It is possible to be overly acidic or overly alkaline. Yet it can be confusing as to how to support this balance that we want. Staying close to nature in diet and lifestyle is the best way to attain balance in health and well-being. 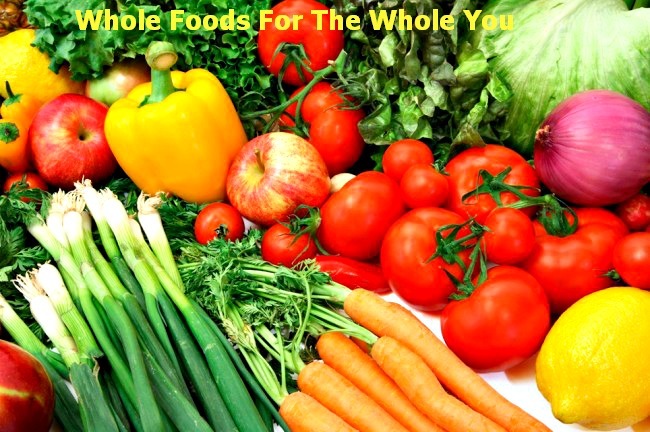 When we select the best diet for fibromyalgia it must be abundant in whole foods. Then, we are automatically supporting balance because these foods are in their natural unadulterated state. This is the basis of the best diet for fibromyalgia. A healthy fibromyalgia diet can be attained whether one is vegetarian or meat eater. When eating vegan, be sure that whole foods, raw fats and oils, and sprouted beans, nuts and seeds and fruits are the primary foods relied upon. Avoid excess eating of grains, gluten free or otherwise. Strive for 100% gluten free and upwards to 80% grain free. That way, you can have your rice or gluten free pasta on occasion if desired (See Diet-For-Fibromyalgia-Grains-Free page for more info). By the way, below is an excellent grain free, low calorie option to pasta. Have you tried Palmini? It is a great alternative to pasta. Easy to use. Excellent for keto or paleo plans. What about nightshades and proteins? When eating animal protein, choose smaller portions of meat and balance with greens, raw and/or cooked vegetables. If you are a type "O" like me, then you likely thrive on a meat/vegetable/fruit diet with additions of sprouted beans, nuts and seeds as well. We are the hunter/gatherer and our bodies are built for optimal digestion of animal protein. Type A will do better as a vegan. Other blood types vary as well. What about potatoes? Let me say that when we avoid the whites and utilize the red potatoes (also called new potatoes) we will not have to worry about inflammation or blood sugar rises. Always choose organic when possible. Organic potatoes not only taste better, but we want to avoid common pesticides and herbicides. I also add some yukon, sweet and purple potatoes on occasion for variety. Note however, that sweet potatoes are not well combined with animal protein. Below we made a delicious organic red potato salad with coconut vinegar and spices. The process of live nutrition! Cooked beans are not recommended as they are high in starch and therefore HIGH GLYCEMIC. 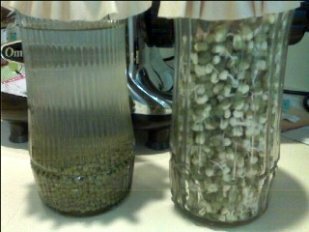 Shown are Mung Beans, both in their original state and their "soaked and sprouted" state. After soaking, their "jackets" are easily removed. This removes the enzyme inhibitor thereby aiding digestion and assimilation of raw nutrients. For grains, beans, nuts, and seeds, remember that first soaking and sprouting (at least soaking) removes the enzyme inhibitor, allows for better digestion and retention of minerals, and reduces the acid effects. When grains, nuts, seeds are not soaked, they deplete minerals through the process of digestion. You can also purchase packaged, sprouted items. I'm including the following link to one such item for your convenience Go Raw's Organic, Sprouted Watermelon Seeds. You can also find Go Raw's pumpkin and a seed mix on Amazon. The most alkaline of all raw nuts ..
Germination is the key to 'unlocking' and retaining precious nutrients. Dairy products are acid forming. Avoid low fat dairy as this contributes to osteo issues, as without the natural dairy fat, we cannot absorb any calcium anyway. Choose organic greens, vegetable juices and blended raw foods for easy to assimilate calcium and minerals. When eating eggs, always ingest whole eggs, not egg whites alone. Egg whites are VERY acid forming, and the egg yolk is one of nature’s finest fats, rich in biotin, choline and other minerals. It is comparable to mothers milk. It is the egg white that is hardest to digest. Yes, for most people with egg allergy, it’s the white, not the yolk. I like to say ..."Eat your yolks, folks". Again, nature does not want us dissecting our food; this creates imbalance. Use the best organic and/or pastured eggs whenever possible. Many bodybuilders/dieters, etc. go to extremes to reduce fat, only to later on have thyroid/adrenal issues due to extreme dieting and ingestion of proteins that are sometimes foreign to the body. RAW fats burn fat hence the obesity epidemic from low fat eating. Choose best quality in meats, eggs, etc. Free range is best as well as grass fed when you can obtain it. 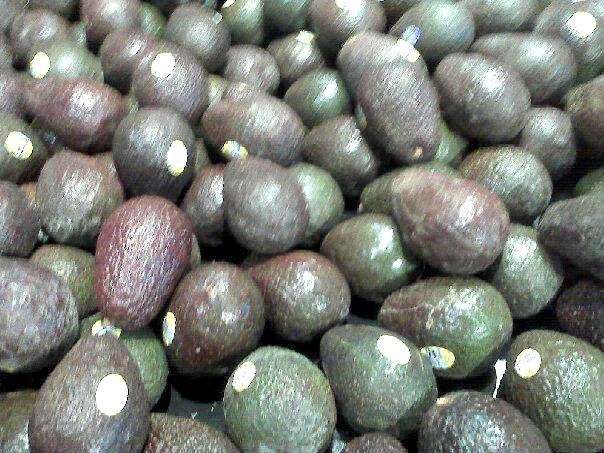 Avocadoes, the healthy raw fat of champions everywhere!! We use them in blender drinks, raw dishes and even great for breakfast. Healthy raw fats are a great way to control cravings for sugars and excess carbohydrates . Also, use Avocado Oil for cooking, salad dressing, homemade mayo., etc. 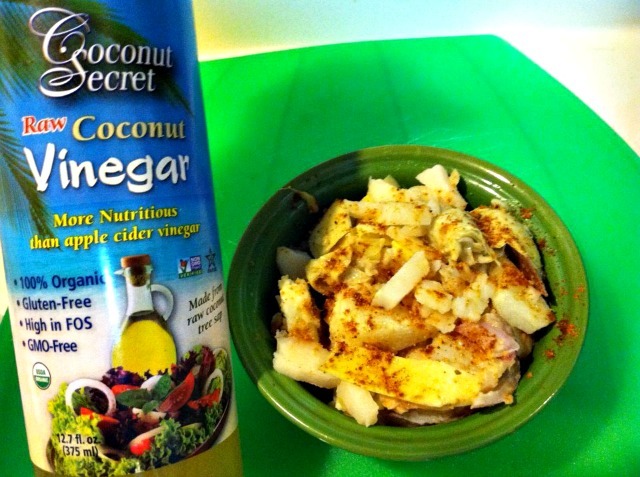 You can substitute Coconut Oil depending on price and taste. It can be used for for food preparation as well as hair and skin care. 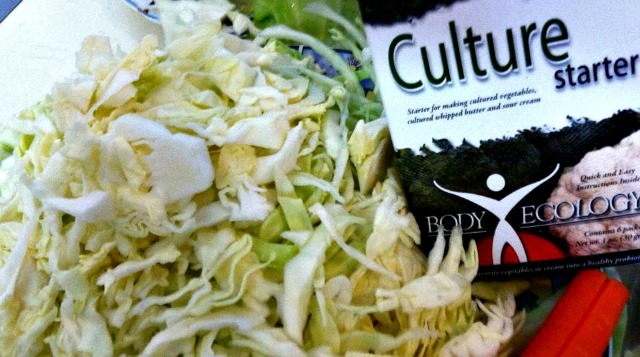 Yes, fermented or cultured foods/drinks can be acid-forming. However this again supports balance and when eaten in combination with greens and other alkaline foods they are truly valuable, whether it is cultured vegetables, kefir, kombucha, etc. Also, take better control of cravings with cultured vegetables. For over 15 years I have been experimenting with different variations. I use the Body Ecology starter and add extra Plantarum which is a more beneficial healthy bacteria for the large intestine. We can all benefit from cultured vegetables, especially good for those with any GI issues, IBS, recovery from celiac, etc. Remember that cabbage is best fermented for thyroid issues. It will cause problems only when eaten raw in some individuals. In my basic recipe I use organic cabbage, carrot, ginger and garlic, cultures and extra plantarum. 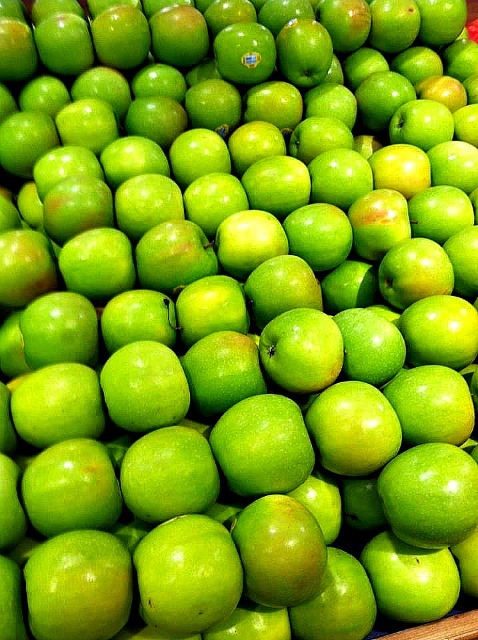 This feeds our beneficial bacteria, controls infections, increases immunity and reduces cravings for sugar. Click here for recipe. 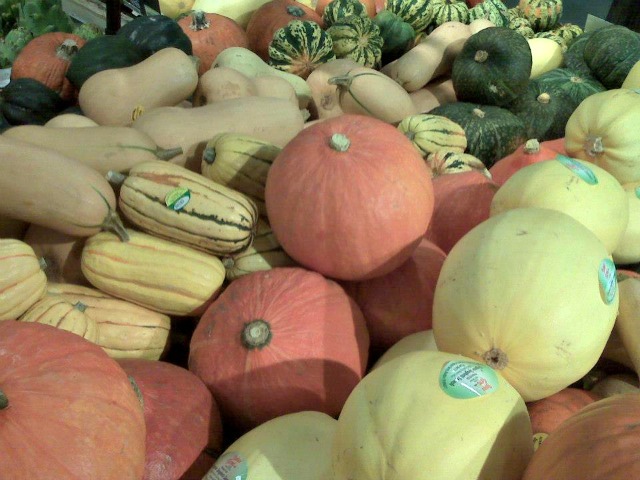 My favorites are spaghetti squash and delicata. A great alternative to grains and so much variety .. In order to increase metabolism, reduce overall symptoms and support well-being in chronic illness, we must work to CREATE balance. This is the necessary goal of the best diet for fibromyalgia. We get out what we put in! Whatever plan works best for YOUR body and blood type, be sure to make it count. Be consistent. There are many flawed studies on why one food plan is better than another. Check out my Food Planner And Nutrition Tips by clicking on the link below.